Service marketplace websites are seeing a tremendous success. They connect the consumers with the local service professionals... Is that dripping tap annoying you? Is the stinging sciatica pain forcing you to hire a yoga teacher at home? Or you want to fix anything at your home and so want a professional? Then, dump the conventional methods you use to find a professional. Join the league of people who are now resorting to finding professionals on service marketplace websites. Online service marketplace industry is growing by leaps and bounds among the other online on-demand domains. Here, in this article, we analyze the core ideas and strategies to solve problems while building such a service marketplace. Where will you go for creating your website? No worries!! There are some best scripts available in the market, an ideal thumbtack clone script or a taskrabbit clone script should be your best pick. Get the script customized to your requirements. Even more important to get the script customized if you are only looking to launch a niche service marketplace website, catering to one or only a few services. Choose the script which is rich in features. Make no compromises as it is your business and you certainly want to succeed in it. Though a cutting-edge script will come with all major features, in case you want a particular feature integrated, then get it done. Make extensive study before to selecting your niche market. A right choice has to be made after taking into consideration the market trend, the profitability aspect, the targeted customers, the volume of potential customers, among others. Tackle the "chicken and egg" problem. This problem has perplexed every two-sided marketplace owner. Many have overcome. Equally, many failed. Service providers, as well as the service seekers, have to be on your site. What use in having just providers? No point, right? Put right strategies to acquire both service providers and takers. Ensure that the website is uber convenient for your users. Finding the services has to be easier. The website should offer a stable payment system. Your website should be offered with easy transactions and should also have a complete tracking system, which will be helpful for you as an admin. A safe and a reliable site will go a long way. So, on the portal you launch, give total freedom to service seekers to report, review and also rate the services that they have taken from various professionals. This also builds trust and credibility to your website. How to build a peer-to-peer service marketplace website? 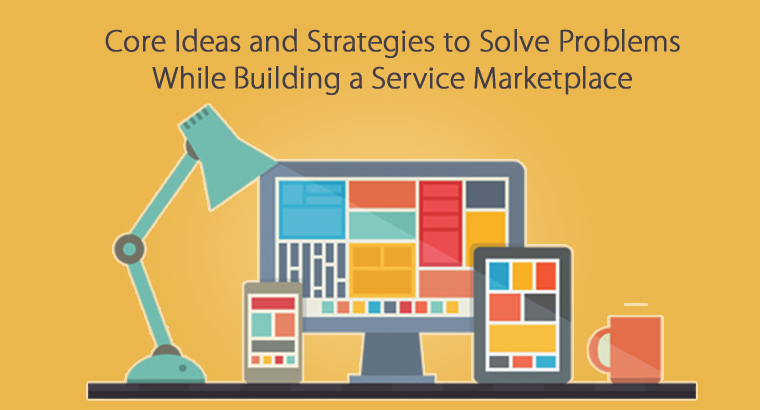 Succeed in your online business by launching a two-sided service marketplace website. Make sure you do not have any loopholes. Make a plan right from the scratch, i.e., from choosing the script for your platform. Stick to the plan till the time you finish all launch works. After which, do proper marketing and taste success.